I belong to three teams on Etsy. The Dachshund Team, The Loud and Wacky Street Team, and the Etsy Treasury Team. I joined these teams initially to get more exposure for our shop, Laughing Fridge. "It would mean a lot to me if she went to live with you. I've got a very special connection to animals, I get along with them better than people actually, and somehow although I don't even know her, I've got a really special feeling about Lucy. I hope you don't think I'm weird, I'd just really love for you to have this." Shortly after Anna started her sculpture, Lucy underwent surgery to repair her damaged lung. Sadly, she passed away during the procedure, and my heart was broken. I sent an email to Anna letting her know. Many tears flowed between the two of us. I cried as I was telling Anna what happened. She cried as she finished her Lucy sculpture. I sent Anna some pictures of Lucy and she was amazed at how much her sculpture looked like our sweet pug girl. Anna put her heart and soul into this sculpture, and when I received her gift I cried again, but this time they were happy tears. Her amazing sculpture had Lucy's essence and spirit and I felt very comforted by it. She is proudly displayed on our mantel and every time I look at her I smile. Out of tragedy, a real friendship was developed. 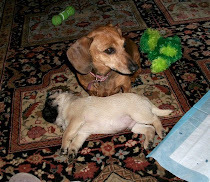 My friend Athena of SassySashadoxie posted a beautiful tribute to Lucy on the Dachshund team blog, Tales from the Dach Side. She featured two angel pug Etsy listings on the blog, and one of the featured sellers, Artist Vanda , whom I had never met, was moved to send me her beautiful print. I received many condolences from my teammates in the blog comments, as well on the team forum. My dear friends on the LAWST team sent a beautiful sympathy card which was crafted by team member Beth of thequeenofcups. All of my teammates lent their support and offered condolences during Lucy's illness and after her passing. My grief has turned into fond memories with the help of these amazing teams. There is so much more to teams than just posting and promoting on the forums; they are real people who truly care about each other and I'm so happy to a part of these wonderful groups! This is a great blog post. Thank you for sharing this. this is amazing. i'm so glad Etsy posted this in the community. i teared up and i totally know how you're feeling. my 3 year old pitbull just passed last month and i received so much love through the comfort of my blog friends. stay strong. I'm so sorry. I too have an 8 year old pug, and I have lost pets before. 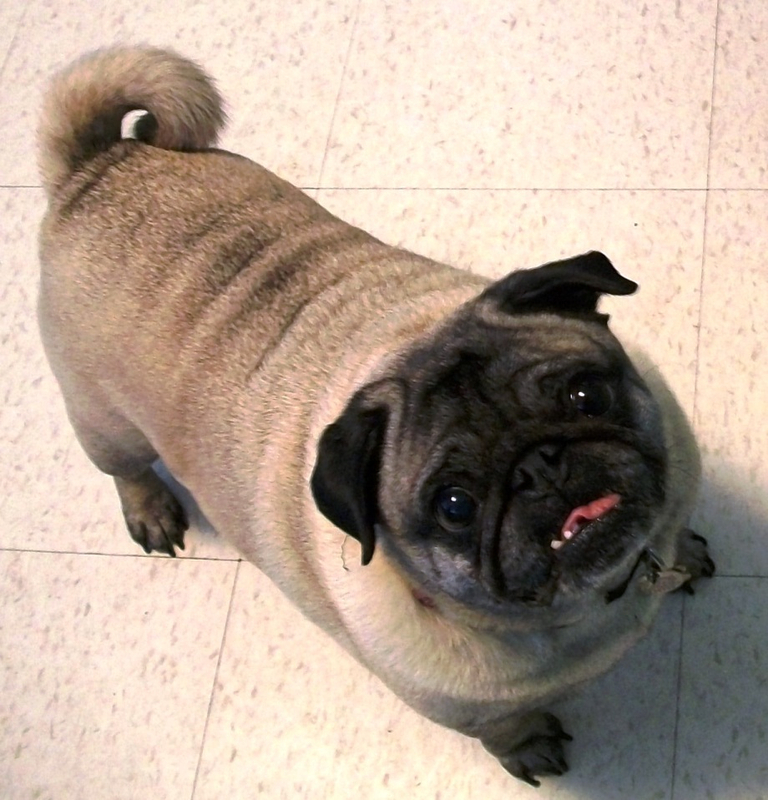 I have an idea of how hard it will be when Xander, my pug, dies. It is a wonderful thing that such kindhearted people, like those who supported you while you were grieving, exist in this world. Aww, it does my heart good to know that all of us doing our little parts helped you out during your grieving. I too have been touched by the amazing power of friendship on my ETSY Teams. They are more than just a group of sellers. All these wonderful folks are there for each other in so many ways. Even if it is as simple as a kind word when you are in your darkest hour. i have a pug and i'm tearing up just reading this! what a sweet little pug. I am so sorry about your loss. Lucy looks like the sweetest little pug. I have a little boston, and I teared up reading this. So sorry to hear about Lucy! But it is wonderful to hear how the peeps in your teams were there to support you! I just lost my 16yr old pug JoJo to heart failure at 7:50am this morning. Thank you so much for posting this. I am almost in tears. I adore animals of all kinds. I am so glad Etsy has such kind loving animal people. What a wonderful story about the reality of cyber friendships. I, for one, was sure nothing like that could ever happen until I became a part of PetsJubilee. Lo and behold-I consider them best friends. I am so happy for you to have found comfort in your grief by these caring friends who have left you with tangible memories of your loved Lucy. Donna once again touched you and Lucy. Thanks for being there for Rio and I. Thanks for sharing this story. I'm so sorry for your loss but glad you had friends to help you. A wonderful testimonial to love of animals, friendship and support during difficult times. The story of Lucy has me hugging my own two dogs. It is wonderful that Lucy left such a spreading legacy of love. It's the best tribute that any dog could have. CraftyMamaLea - I'm so sorry to hear about JoJo's passing this morning! I hope this story brought you some comfort. Etsy is full of caring, sharing people, I am so glad they were able to help ease your grief. What a wonderful story of support and friendship. I'm glad you told us to grab the tissues b/c I needed them! So sorry for the loss of your Lucy. OMG! I'm trying to read this story through blurry eyes! My two furry friends, Coco and Frida, are always with me when I'm working from home, cooking, gardening, etc. They are regular members of the family. My heart goes out to Lucy and her family. I read about Lucy and the wonderful sculpture before...not sure where...and fell in love with the heartfelt story of loss and friendship. I can't help but believe that our furry friends/babies are woven into the fabric of our lives, and put on our path b/c we need each other. And I cannot say enough about friendships forged at Etsy. This Wacky Team sounds right up my alley! For you and others who have shared their losses, blessings and light. This is such a sweet story..I love how you gained support and friendship though your teams during such a painful time. Miss you...hope you and John are doing well and have a nice holiday season! I'm sorry for the loss of your sweet Lucy. It's unbelievably sad to lose a pet. As you said, they own us and it's gutwrenching when they leave us. Mine passed after 17 plus years, and his loss is still felt in the emptiness. It's a blessing to be able to unburden and share with your etsy friends. Thank you for sharing this with the rest of us on your blog. Thank you for sharing your story Donna. I'm so sorry about the loss of your Lucy. As I sit over here sipping my morning coffee reading this post, my Bambam (yorkiepoo, 9 yrs old) lays by my side. She is my shadow. She goes where I go. Tears are rolling down my cheeks. I am so sorry for your loss. I am sure Lucy left a big empty space in your life. As for etsy and all the support you got from your cyber friends, that is not surprising to me. 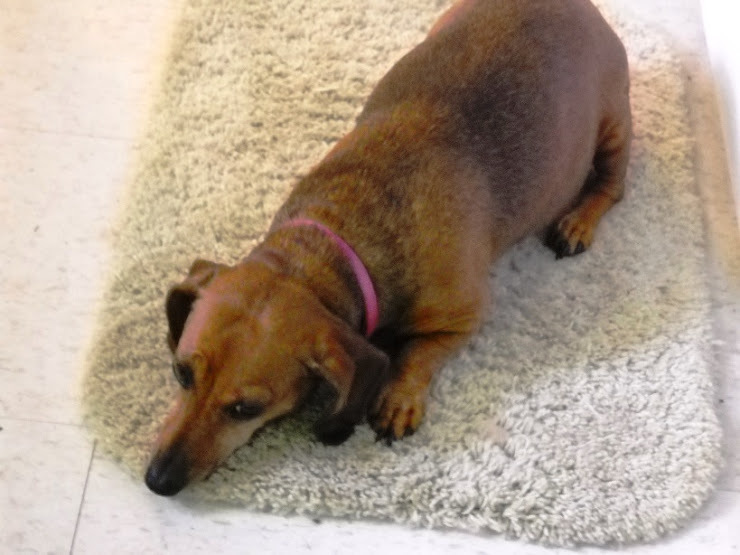 Bambam was very sick this past January (bladder stones) and she was in a lot of pain and I was going nuts. Where did comforting words come from to help me thru my ordeal? Yes, of course, my etsy buddies. The way I see etsy is not only a selling venue, it's a close knit community where we come to seek support when we need and we get it. I think the only thing you can do right now is take one day at a time. The pain is gonna lessen, it's not gonna go away, but it will lessen. Hugs my dear friend. I am so sorry you have to go thru this. What a beautiful and touching story of love and friendship and renewal - all through the connectedness of wonderful Etsy teams. Thank you so much for sharing your story with all of us. Your sweet, touching story has me in tears... I'm so happy you were able to find some solace and healing through the amazing circle of friends you've found. Wishing you and John a wonderful holiday season! Donna, your sweet story is such a tribute to the strength that can be gained in a loving community. And it's obvious that Etsy is about so much more than selling things. I'm glad that we as a team (Etsy Treasury Team) could be there to support you through your loss of Lucy. Thank you for being brave enough to share this story with everyone. I think it has touched so many more people than you realize. I am so sorry for your loss. I lost my heart Blue this summer at age 8 to cancer. I still feel the pain of it when I go to bed at night. I ran out a couple months later and adopted a pound dog named Buddha who is now my best buddy sitting here. He is half chihuahua and half french bulldog and has lots of character. I never realized how hard it would be to lose a pet but now I do and I am sending big hugs to you.. Loved to read your story, Thank you for sharing. I'm so happy you had so many friends with you in that moment! This is so sweet. I lost my bunny companion of 7 years earlier this year, I understand! I can still get myself to cry if I get to cruising down memory lane. A wonderful post, I am glad you made friends who were there for you. There are some great people in the Etsy community. Beautiful, heartbreaking... I made my first sock pug to help a friend grieve as he had to put down his one year old pug. There is a large price we pay bringing pets into our lives. But so worth it as it is all about pure LOVE. Thank you for sharing your story. So sad for your loss, lost my big 4 footed friend of 9 years this summer and still really miss him. So good that you got such support from the Etsy teams, such a good supportive community to be part of. our dog is getting old and I dread the day he goes. So sorry for your loss, dogs are such a big part of our families. Thanks for sharing. Sorry for the loss of your Lucy. I'm glad that you had caring people in the Etsy community to help you through an emotionally distressful time. Превосходный [url="http://vitorrent.ru/"]торрент[/url] трекер без регистрации , где вы можете бесплатно скачать много фильмов, игры, музыки, программ и много другого. НАпример скачать [url="http://vitorrent.ru/"]торрент фильмы[/url] с нашего [url="http://vitorrent.ru/"]торрент трекер[/url] . Для любителей игр большой ассортимент [url="http://vitorrent.ru/games/"]торрент игры[/url] , [url="http://vitorrent.ru/games/strategy/75-the-sims-3-generations.html"]The Sims 3[/url] скачать бесплатно! [url="http://vitorrent.ru/"]торренты[/url] и [url="http://vitorrent.ru/"]скачать с торрента[/url] и многое другое, например [url="http://vitorrent.ru/"]игры торрент бесплатные[/url] , скачать [url="http://vitorrent.ru/"]сериалы[/url] с торрента. Фильмы: [url="http://vitorrent.ru/filmi/komedii/66-paren-s-marsa.html"]Парень с Марса[/url] , [url="http://vitorrent.ru/filmi/komedii/51-all-inclusive-ili-vse-vklyucheno.html"]всё включено[/url] . [url="http://vitorrent.ru/musica/"]торрент музыка[/url] всех направлений. Так же обратите внимание на [url="http://vseserial.ru/"]сериалы онлайн[/url] , [url="http://vseserial.ru/interny/11-interny-72-seriya-4-sezon-12-seriya.html"]интерны 72 серия[/url] , [url="http://vseserial.ru/"]амазонки[/url] , [url="http://vseserial.ru/"]сериалы онлайн смотреть[/url] . [url="http://infofilm.ipby.ru/"]блог о фильмах[/url] . [url=http://kataev.in/seo/prodvizhenie-neizbezhno/]Продвижение неизбежно[/url] Надеемся вам понравится на нашем блоге. Продвижение неизбежно это факт.